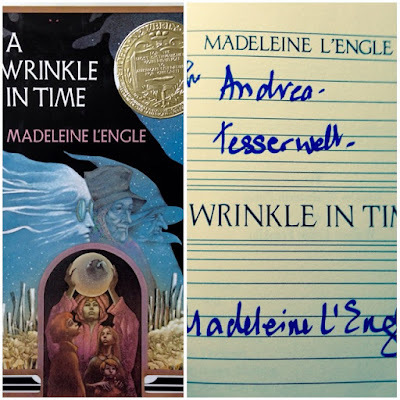 When I wrote about experiencing The Amulet Series with my son, I shared my absolute favorite book from my youth: A Wrinkle in Time (and my treasured signed copy). (Apparently Chelsea Clinton's favorite book growing up, too! Here's a great article from The Atlantic on the subject. Nerd girls unite!) As I mentioned in that post, I wanted to read it with him before introducing the graphic novel. 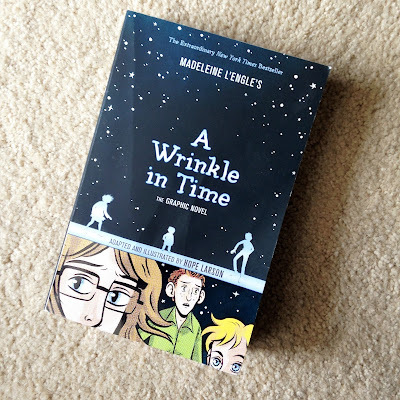 We read it together at the beginning of the summer and I was surprised at the myriad feelings I experienced. Sure, I was excited to share Harry Potter with him for the first time and we finished The Prisoner of Azkaban this summer (We're on a 'one each summer' schedule.) But, although I'm a HUGE fan of the boy wizard, I read J.K. Rowlings books in my twenties. It's not quite the same anticipation of sharing something that shaped your own childhood. First stage: Trepidation. Will he like it? What if he DOESN'T like it? 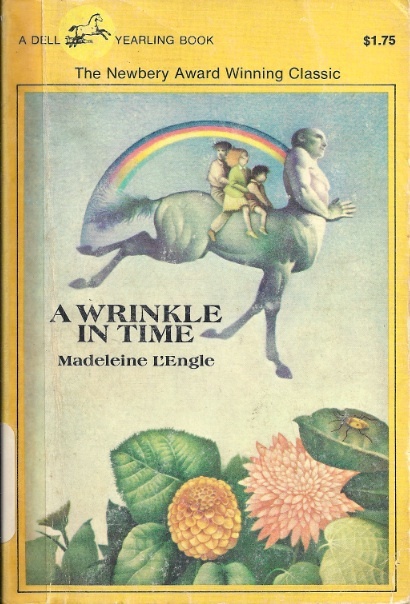 It IS a little weird with flying space centaurs, creepy children and disembodied brains... I hadn't re-read it in a good twenty or so years and these things were making me chuckle. 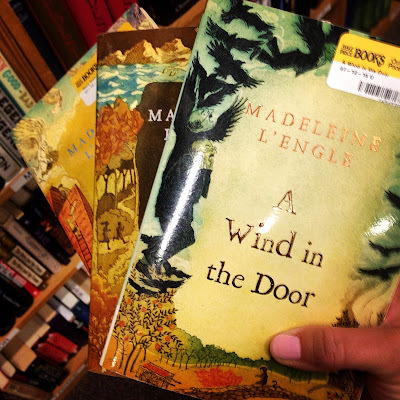 This fascinating New York Times article explores the idea: Is It Harder to Be Transported By a Book as You Get Older? And it made sense to me. So! I decided that even though it wasn't totally transporting me like it did the very first time I read it eons ago, it might be a different story for my kid. Third stage: Hope. He wants to keep reading! Can you read with me for ten more minutes, please!? Well... OKAY. Fifth stage: Elation! He loves it! And I feel really lucky in that regard. Everyone has different taste in reading, and what they want to get out of a book. He really has a thing for the silly (Diary of a Wimpy Kid, etc.) and I don't think that was ever my bag, so this is awesome. Like the heyday 70s Are You There God? It's Me Margaret covers. And, of course, he got his own copy of the graphic novel when we were done reading.